Celebrate National Puppy Day & enter our competition to win a professional puppy portrait session worth £175. 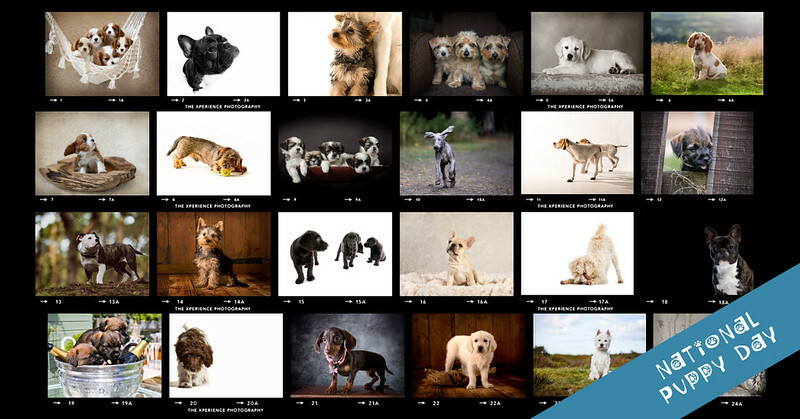 One lucky puppy owner will win a free portrait session and beautiful framed desk print of their favourite image. Simply fill in your details below and submit the entry form, closing date for entries is 8th April, 2018. (Runner up prizes available). Good luck!! - Closing date for entries 8th April, 2018. Winners will be drawn at random. - Portrait shoot will take place on a weekday and lasts around 1 hour. - Prizes to be redeemed within 7 months. Prize winners will be contacted by email.